Karina's Kreations: Razzleberry Make a Monster! 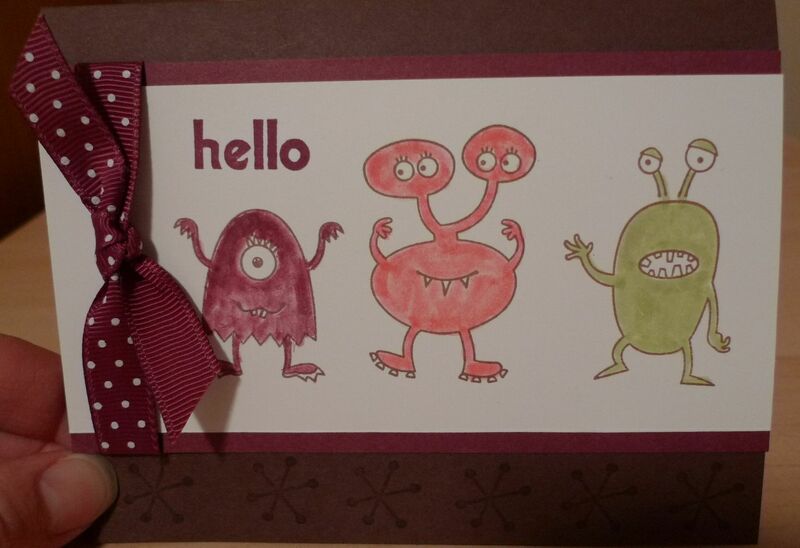 This was my last make a monster card for my class. I love the different monster designs you can get from one stamp set. I used a blender pen and re-inkers to color the monsters which gave me an intense color.